There is no doubt that John Mayer is one of the best guitar players in the world right now. He has reached the level many absolute legends of rock reside. While trying to figure out his key to success, we’ve come up with a layered answer. On one hand, his raw skill is undoubtedly what put him into focus, however his ability to fine tune his tone has a lot to do with his success as well. On that note, his pedal board is definitely full of surprises. One such surprise is the Fulltone Fulldrive 2 overdrive pedal. Today we are going to take a closer look at this thing and see what kind of performance it has to offer. Fulltone’s Fulldrive 2 overdrive is anything but a regular overdrive pedal. That much is obvious from the moment you see the pedal. Instead of taking the same old route, Fulltone opted out for something different. Instead of just designing an overdrive pedal, they went with a two stage package. 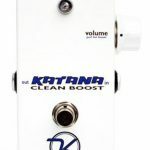 In other words, you have two gain stages to play with, making the Fulldrive 2 a very interesting pedal to say the least. 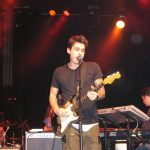 While such a performance profile may not be interesting to all, John Mayer has definitely found it compatible with his needs. Without further ado, lets get into the review itself. One thing that Fulltone knows how to do is vintage styling. Fulldrive 2 looks like something that was made in the ’80s or even before. We are talking steel plate chassis that has that old school slant towards the user. The finish and graphic design also add to our conclusion. Fulltone went with an all blue design where the only things breaking the monotony are the white labels and model designation. It is as simple as it gets. One of the more logical questions is how durable this pedal is? For all intents and purposes, it is a tank. Fulltone is fully aware of the quality requirements most active users are looking for, and are designing their pedals accordingly. You can put the Fulldrive 2 through the regular hell that is stage use and it will come out the other end without a scratch. The only downside to this overall design would be mounting the pedal on the pedalboard. With wide units such as this one, you really need to be aware of the space and positioning. Same goes for cable management. All of I/O ports are in the back of the pedal instead of the sides, making daisy chains a bit difficult, but not impossible. 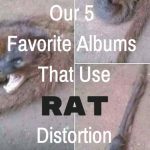 When it comes to features, there’s plenty to talk about. Lets start by listing the controls. Going from left to right we have Volume, Tone, Overdrive and finally Boost. There are also two switches, one that is labeled CompCut/FM/Vintage and one that’s labeled Mosfet/Standard. First switch is pretty interesting. CompCut mode adds a bit of compression to the tone while FM flattens out the mids. Standard mode is where you get boosted mids and is probably the closest to a default overdrive setting. Second switch allows you to choose between the standard Fulltone sound and a new Mosfet signature. You will also notice that there are two footswitches at the bottom. One is your standard bypass switch while the one labeled Boost does engages the second gain stage. That is more or less it in term of features. 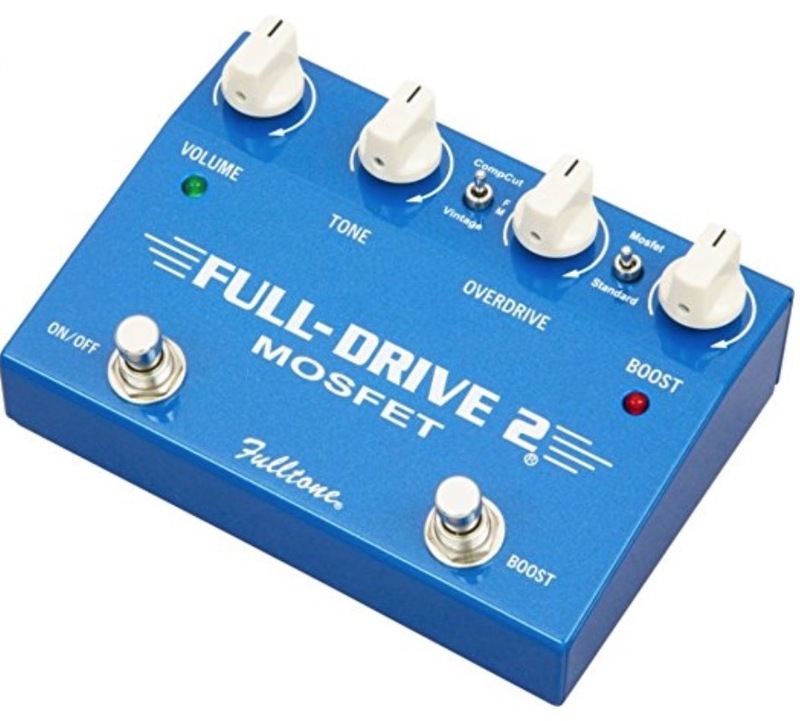 Fulltone didn’t go all freaky with controls, making the Fulldrive 2 a very easy pedal to use. We definitely appreciate that. Naturally, you will need to get all of the tone shaping done by using other pedals in your signal chain. The performance of Fulltone Fulldrive 2 is interesting to say the least. With two gain stages you can cater the heat to suit a vast variety of tone profiles. In its very core, Fulldrive 2 has many signatures of a boosted Tube Screamer. It is aggressive near the top, but not so much in the bottom end. Actually, you won’t find much of a bottom end to begin with. Mids are easily manipulated and adjusted thanks to the available mode selection. What defines the Fulldrive 2 is its ability to offer a vast intensity range. It can be a blunt tool but also a scalpel if you really want to get down and dirty with your guitar tone. We have found that Mosfet mode offers the best color of tone, especially if you are into more intense overdrive. When not in use, Fulldrive 2 is pretty silent. You won’t find many issues regarding noise. After all, Fulltone’s circuitry is on the better side of the industry. Fulltone Fulldrive 2 man not be the most orthodox overdrive on the market, but that is exactly what makes it so attractive. Sure, it’s a Tube Screamer in its very core, but a different one. With all the modes included, an additional boost stage and a relatively hot output, Fulldrive 2 is definitely a capable tool to have. Now lets mention the best part. 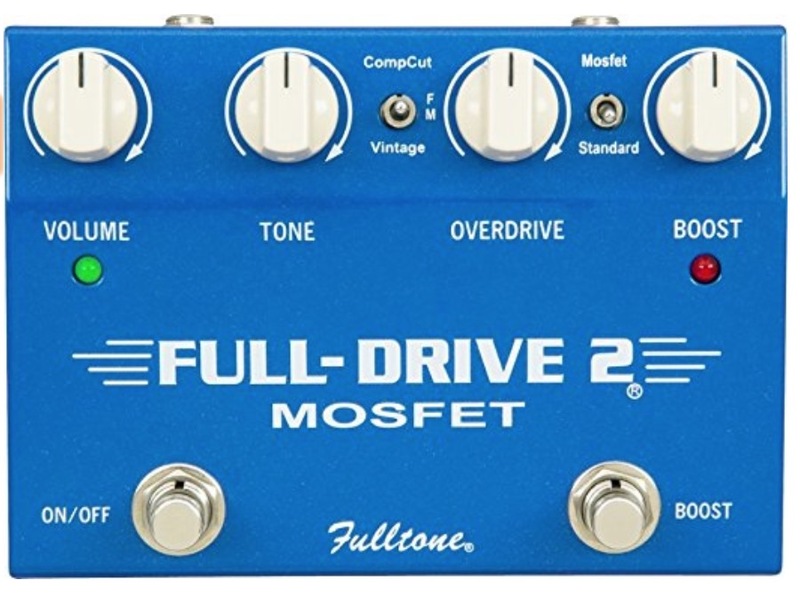 The way Fulltone Fulldrive 2 is priced makes it one of the best deals on the market at the moment. It is an absolute bargain compared to the performance it offers. Speaking of tangible performance, John Mayer has pushed his Fulldrive 2 to the extreme and you can hear the results for yourself. By doing so, he has proven just how much juice you can squeeze out from one of these. Additionally, the pedal has been field tested by one of the best guitar players in the world. That alone means a lot. Whether you are trying to replicate Mayer’s tone or you are just looking for a good overdrive, Fulltone Fulldrive 2 is a model we can easily stand behind. It is simply that good.